The 55 Best 55+ Communities for 2016! Here it is! The best 55+ communities in the country for 2016. 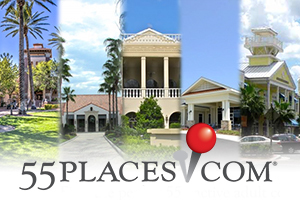 55places.com is proud to release its list of the 55 Best 55+ Communities in America for 2016. These age-restricted communities featured on this prestigious list were carefully chosen based on feedback, research, and information gathered from on-site tours of each active adult community visited this year by the 55 Places staff. Over the years, our team has toured more than 500 active adult communities across the country to review every aspect of what makes a 55+ community the “best,” which can include luxurious amenities, high-quality homes, a low-maintenance lifestyle, affordability, location, social environment, and local attractions. Gathering unbiased insight and objective research to compile this list was challenging because everyone has a different interpretation when referring to something as the “best”. That’s why we also used analytical data gathered on 55places.com that helped determine which communities were the most popular. The data measured the quantity of visitors to each community page on our website, our in-person visits, and objective rankings in eleven unique categories to figure out which ones truly stood out from the crowd. With this approach, we were able to compile an unbiased list that would include the best active adult communities in America. As you browse through this list, you may find a few new surprises that made it to the top this year while others have been moved down or completely replaced. It’s important to keep in mind that although our list is compiled with objective data, it doesn’t take into account the personal needs and requirements of every active adult. But we do hope this list helps you search and find the best active adult community for you. 1. The Villages – The Villages, FL For the third year in a row, The Villages in Central Florida ranks at the top of our list. The Villages is the largest active adult community in the country, spanning across three counties, three zip codes, and over 20,000 acres. This 55+ community has become its own thriving and bustling self-sustaining town and will consist of more than 56,000 homes upon completion. The Villages offers countless amenities like recreational centers, golf courses, swimming pools, shopping centers, tennis courts, social programs, and much more. Not only does The Villages offer lavish resort-style amenities spread throughout, it also offers affordable homes that come in a variety of styles, price points, and designs. With so many amenities and conveniences located within this vast 55+ community, it’s no surprise that it remains in the number one spot on our best active adult community list. 2. Sun City Texas – Georgetown, TX Sun City Texas by Del Webb is a beautiful 55+ community located in Georgetown, TX. As the largest active adult community in Texas, Sun City Texas continues to be a popular retirement destination for many active adults due to its affordability, vibrant lifestyle, lavish resort-style amenities, and welcoming environment. Del Webb began construction in 1995 and plans to offer 9,900 homes at completion. Sun City Texas features world-class amenities that are sure to keep homeowners active and entertained throughout the year. Sun City Texas continues to be a renown 55+ community, coming in at number two. 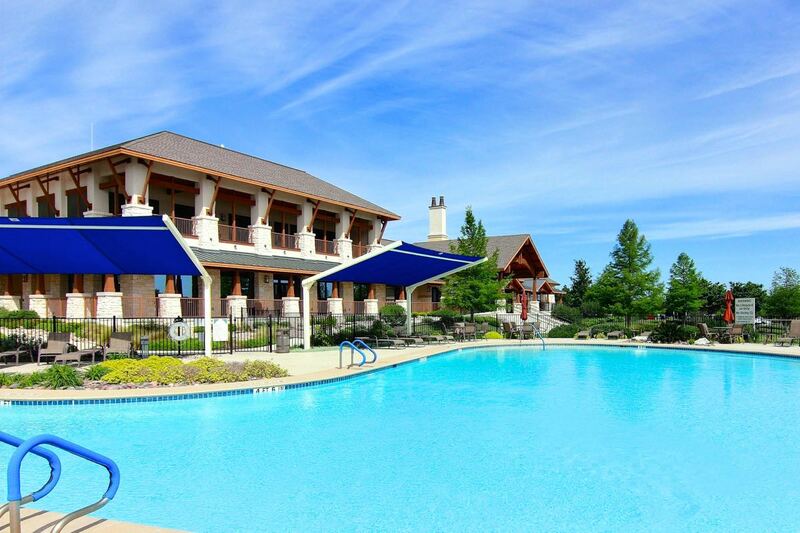 Residents have access to two well-appointed amenity centers including the 86,000 square-foot Village Center Amenity Complex that features an on-site restaurant, multiple indoor and outdoor swimming pools, three 18-hole championship golf courses, a variety of sports courts, and plenty of outdoor recreational spaces. Retirees also love that the community is just 35 miles north of Austin, making day trips convenient for big-city attractions and entertainment. This 16,900-home community in Central Arizona features world-class amenities and easy access to downtown Phoenix for big-city entertainment. Del Webb developed this 55+ community between 1978 and 1997 and buyers can find a variety of reasonably priced homes on a resale-only basis. Sun City West provides active adults with an enviable lineup of resort-style amenities as well. Residents enjoy nine golf courses, four recreation centers, nine restaurants, a hospital, 18 worship centers, and daily conveniences. Some of the unique amenities found in Sun City West include the R.H. Johnson Recreation Center that has a 30-lane bowling center, 29-table billiards room, lecture hall, lawn bowling, and five indoor shuffleboard courts. This 55+ community is also constantly buzzing with activities, clubs, classes, and events that make living here a fun and exciting environment for active adults. 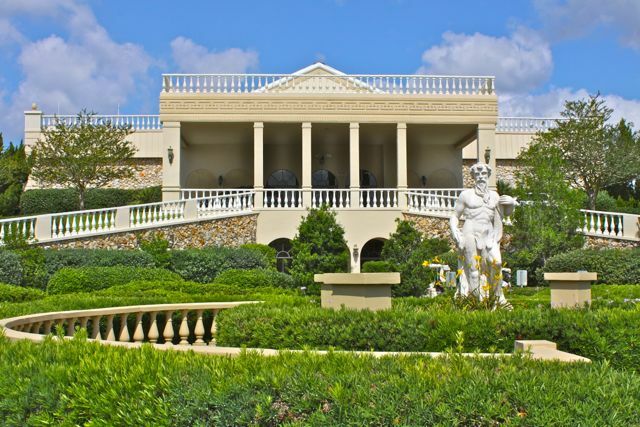 Coming in at number four on our list is On Top of the World in Ocala, FL. 4. On Top of the World – Ocala, FL Situated in Central Florida, On Top of the World provides an endless array of amenities, social activities, and affordable homes. This 55+ community was started in 1981 and new construction continues on, with about 10,000 homes to be built upon completion. This beautiful age-restricted community offers multiple clubhouses filled with indoor and outdoor world-class amenities. Some of which include state-of-the-art fitness center, resort-style swimming pools, a restaurant, spacious ballroom, hobby rooms, various sports courts, and even an R/C flying field and R/C car track. And with a robust list of clubs, activities, and classes, residents are never lacking fun or entertainment. Retirees flock to this hotspot because of its social atmosphere that provides over 200 social clubs and interest groups, which continue to make it a popular and vibrant active adult community in Ocala, FL. 5. Laguna Woods Village – Laguna Woods, CA Scenic Orange County is home to the beautiful active adult community of Laguna Woods Village. As one of the largest 55+ communities located on the West Coast, Laguna Woods Village consists of 12,736 residences that come in a variety of styles, designs, and prices. The 55+ community was developed between 1964 and 1985 by builder Ross Cortese and features a rich lineup of well-appointed amenities. Residents enjoy a total of seven clubhouses, five swimming pools, and 36 holes of golf in addition to a community center and an equestrian center that are all scattered throughout Laguna Woods Village. Another added bonus to living in this vibrant age-restricted community is its prime location, as it's just ten minutes away from the beautiful Pacific Ocean as well as giving residents easy access to popular attractions and sights found in Southern California.